If you’ve found your way to this article, chances are you’ve recently experienced the loss of a loved one and are trying to make heads or tails of what steps you need to take next in order to close out their affairs and be placed in possession of your inheritance. Your loved one may have left behind a will, designating their wishes for their earthly possessions, or they may have died without a will, instead relying on Louisiana succession law to direct who gets their property. Either way, a succession may need to be filed in order for you to be put into possession of inherited property situated within the borders of the State of Louisiana. Each situation is different and it is advised to call an experienced Louisiana succession attorney at the Andries Law Firm to discuss your options. This article serves as a guide to cover the basics of what to expect during a Louisiana succession. Louisiana law describes a succession as the transmission of the estate of the deceased to his/her successors. A succession gives successors the right to take possession of the estate of the deceased after complying with applicable provisions of law. The Louisiana Civil Code defines the estate of a deceased as the property, rights, and obligations that a person leaves after his/her death. It not only includes the rights and obligations the deceased enjoyed as they exist at the time of death, but all that has accrued since death. Again, it’s advised that you contact a Louisiana succession attorney to determine what the estate of the deceased consists of. In other words, a Louisiana succession is one of the ways that ownership of things or property is acquired when someone dies. The court is giving title of assets to a deceased individual’s heirs and beneficiaries. Once the Louisiana succession process is completed, the title to the deceased person’s assets are transferred to heirs who can then sell, trade or even take out a loan against the property. Louisiana has small successions that can be completed with an affidavit, (more on this later), and successions that must be filed with the court and presented for signature by a Judge. A Judgment of Possession will be signed by the Judge and issued that gives heirs title to real estate, movables such as vehicles and access to bank accounts. There are two types of successions: testate and intestate. If the deceased left behind a valid Last Will and Testament under Louisiana law, it is said to be testate. If the deceased died without a will or it was not valid, then they died intestate. Also, if the decedent died with a will, but portions of it were invalid, then it’s considered intestate. WHAT GOES INTO A SUCCESSION? Immovable and movable property such as land, homes, vehicles, bank accounts, etc. become part of the succession. Certain assets are not part of a Louisiana succession. These can include life insurance, some retirement accounts, annuities and IRAs. These go straight to the beneficiary. In the event the Last Will and Testament conflicts with the beneficiary designations, the beneficiary designations will supersede the Last Will and Testament. So, if you are the beneficiary to one of these, but the Last Will and Testament names someone else, you still inherit. WHAT CAN I DO TO PREPARE FOR A LOUISIANA SUCCESSION? First, take a breather and relax. Gathering paperwork to prepare for your loved one’s succession can be extremely stressful. You may consider putting someone else in charge of this part. Give them a list of everything the person owned, such as life insurance, real estate, vehicles, bank accounts, guns, jewelry, home furnishings, etc. Find the Last Will and Testament if there was one and place the paperwork in a safe area. Some items may take longer to locate. 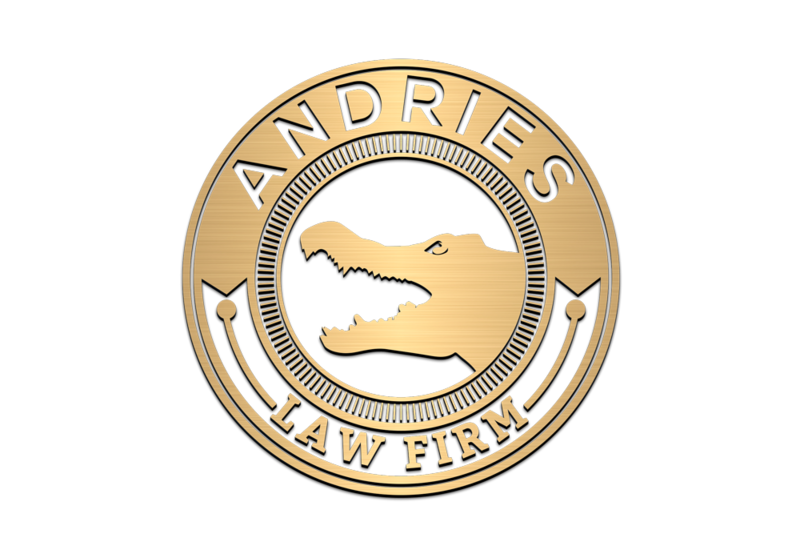 Call the Andries Law Firm to speak with an experienced Louisiana succession lawyer to determine what type of succession to file and in which Parish it needs to be filed and we will walk you through the process.